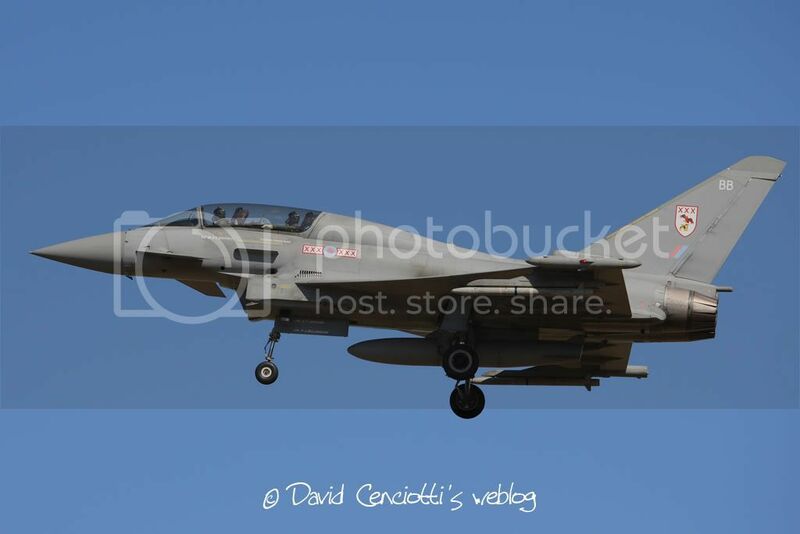 On Oct. 30, thanks to the Italian Air Force and the Rivista Aeronautica (service’s official magazine), The Aviationist had the opportunity to visit the Italian Eurofighter Typhoon’s Main Operating Base at Grosseto. Among the highlights of the tour of the planes and equipment of the local based 4° Stormo (Wing), there was a visit to the Cockpit Trainer of the ASTA (Aircrew Synthetic Training Aids) simulator. Developed by Alenia Aeronautica and SELEX Galileo, ASTA is actually not a single simulator, but a set of two simulator and accompanying training systems. In fact, it is made of a Full Mission Simulator (FMS) and Cockpit Trainer (CT). 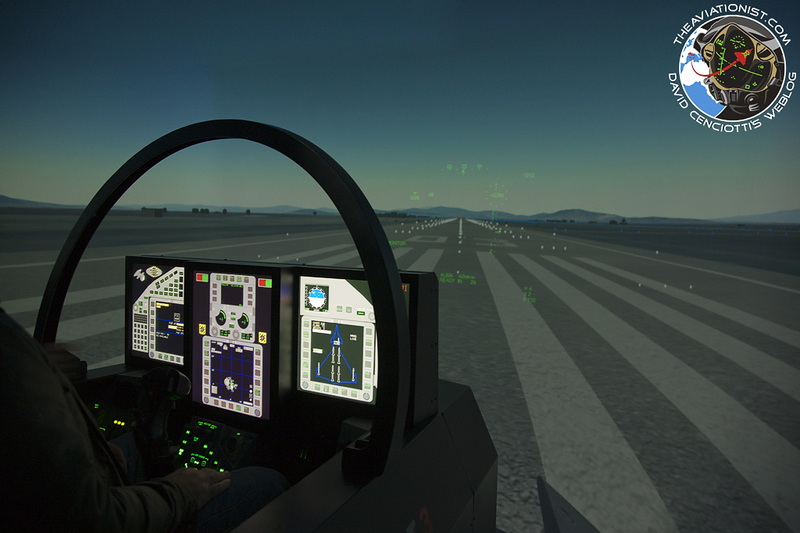 The first simulator is an exact reproduction of the Typhoon’s cockpit, including real HUD (Head Up Display), G-seat simulating acceleration effects, full avionic and sensor suit, and it is suitable for tactical training level. The FMS features a synthetic visualising system which projects images of the external scenario on a spherical dome where 13 high-resolution projectors and 6 target projectors assure a vision range of 360° to the pilot. The Cockpit Trainer, the one you can see in the images below taken by The Aviationist’s Giovanni Maduli, is a sort-of simplified simulator. It lacks the g-seat and has a reduced visual system, but it can be interconnected to the FMS for networked training. In spite of a simplified architecture, the CT is not only used for basic aircrew training, but it is also used for advanced training in the air-to-air mission and it is one of tools used by the pilots to achieve the Limited Combat Readiness. Supporting both the CT and the FMS are the Lesson Planner and Scenario Generator, Debriefing Station & Theatre, in addition to Database Generation System and Training Management Information System.